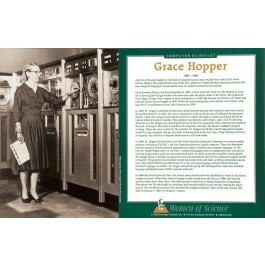 This poster of computer scientist Grace Hopper is part of a series that focuses on great women scientists. The poster features a photo and biographical text. In the 1940s and 50s, Hopper did pioneering work with computers. 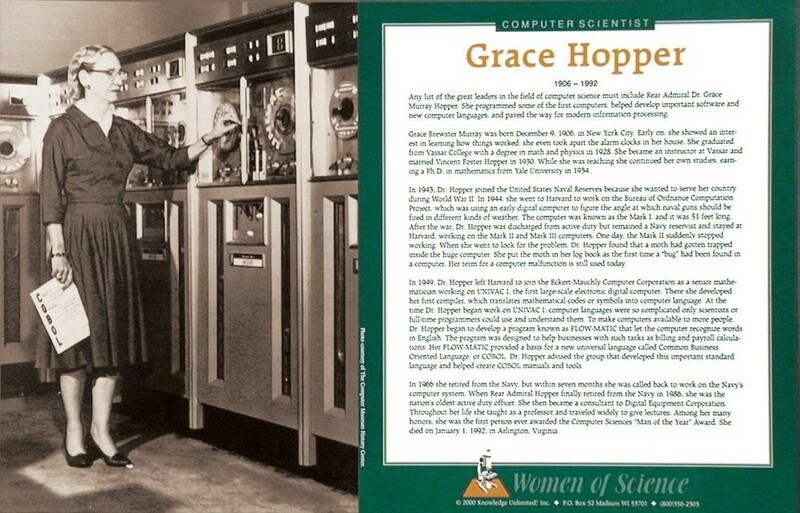 She developed the first compiler, which translated mathematical codes or symbols into computer language. And she developed a program that let computers recognize words in English. This provided a basis for an new universal language called Common Business Oriented Language, or COBOL.